KUCHING: Following the discovery and recovery of various artifacts in the drain under construction at Khoo Hun Yeang Street recently, the public is advised to report to the Museum Department should they come across similar findings. “We do not want to unnecessarily stop the construction works, so we told the workers to inform us should there be more items found. The museum’s archaeology section is in the process of analysing the discovered artifacts to verify their origins and era. If members of the public come across similar items that they think may be of historical value, they must report to us so that we can collect them for analysis and comparison,” he said when met at his office yesterday. Bernama reported on Tuesday that a total of 286 artifacts influenced by the Qing Dynasty, Europe and Indo-China had been found at the site. Archaeology head Mohd Sherman Sauffi said the artifacts consisted of broken and incomplete pottery, glass and ceramics. Ipoi said even though it was not considered a ground-breaking discovery, it was still a very important and interesting find that was of value to the state. “Artifacts such as these are expected in old settlements such as Kuching. They are proofs of the many trade contacts established over the centuries, as well as evidence of trade activities in the olden days. There are similar artifacts found in Santubong, with many that came from much older times. What we found at Khoo Hun Yeang Street are mixed items from newer eras,” he said. According to Ipoi, the department had not been able to do much excavation works in the city areas. “We only get the chance to encounter artifacts during construction works for big projects. I always tell our staff that if there are any construction works going on, do go down and take a look in case there are findings of historical value. 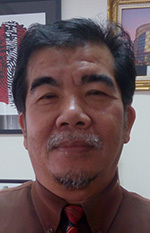 It is not just in Kuching but in the whole of Sarawak,” he said. He added the department might put the artifacts on exhibition once they were done with the analysis, but did not specify when. On a separate note, Ipoi said the department was now focusing on conservation works at the Sarawak Museum and other regional museums. “We plan to set up mini museums or galleries at the various forts in the state. “This year, we are looking at three forts – namely Lily in Betong, Emma in Kanowit and Hose in Marudi. The first two are new museums – which will display the heritage, culture and history of the divisions they are in. “Other than that, our other focus is on the Museum Campus, which is scheduled for completion by 2020,” he said.